Hello!! Stopping in with a couple of cards for several challenges two which close very soon. 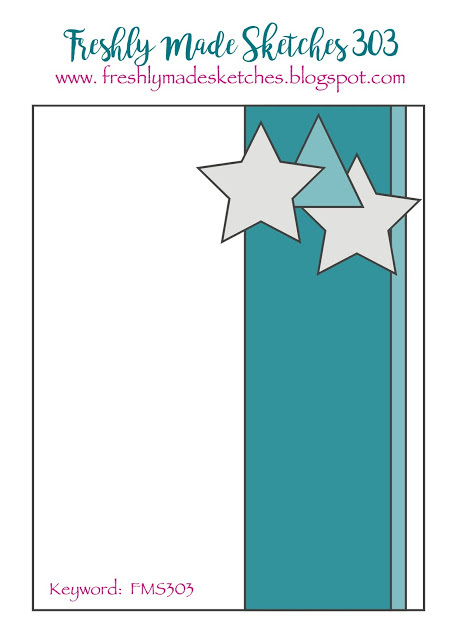 First up is a card for the current Altenew challenge. I have never played along with their challenges, but recently decided that I needed to so that my little collection of Altenew stamps and dies gets used. 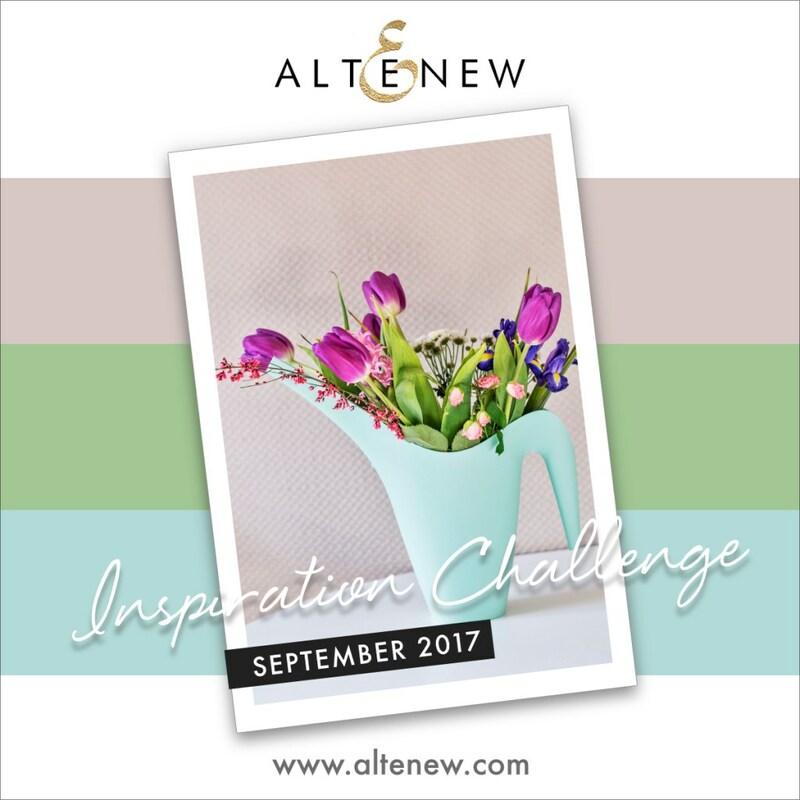 When I saw the challenge inspiration photo I had an idea that I wanted to give a try and I am pleased to say that my card turned out almost exactly as I thought it would. It was also nice that my idea dovetailed rather nicely with the current sketch from Freshly Made Sketches. Since the current Simon Says Stamp Wednesday challenge is anything goes I will post it there, as well. After I finished my card I realized that I mostly pulled out the blues from the inspiration photo so hopefully that is okay. 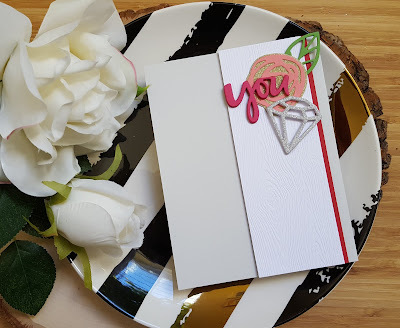 I stamped the roses and butterfly from the Bamboo Roses stamp set on watercolor paper with watermark ink and then heat embossed with white embossing powder. Once that was done I watercolored everything with Kuretake Gansai Tambi watercolors. When they were dry I trimmed them out (I don't own the dies). I used the large half-tone hello image to sort of mimic the background. Once all the bits and pieces were done I watercolored a panel with a light blue and let it dry. The panel was then trimmed down and then everything layered up. 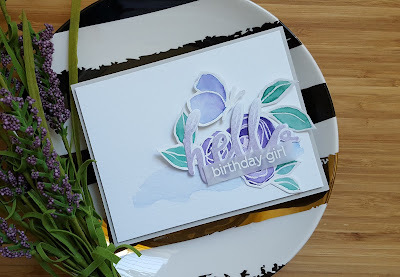 I finished with the birthday girl sentiment embossed in white on vellum. 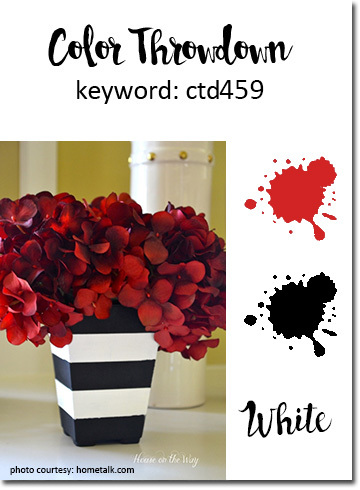 The second card is for the current Reverse Confetti Sketch for You to Try, as well as the current Color Throwdown. I pulled out two Reverse Confetti set (My Heart Trusts and Whole Lotta Thanks) to create my card. 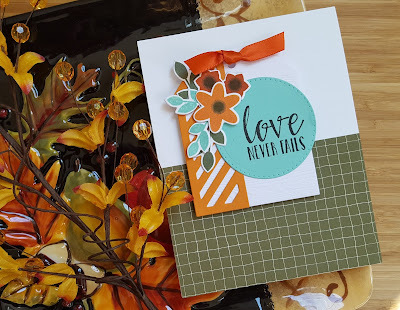 I stamped the flowers and leaves from Whole Lotta Thanks and die cut with the matching dies. The sentiment was stamped on aqua cardstock and die cut with an AJVD circle die. 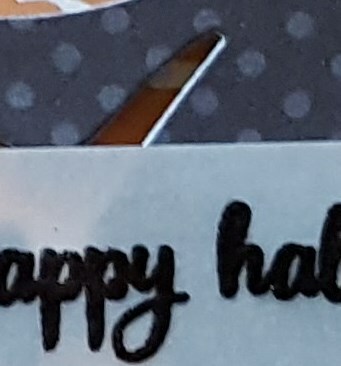 The tag and layer are from Reverse Confetti. 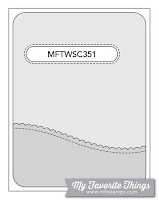 The tag was die cut from woodgrain cardstock and the layer from orange. I found some green patterned paper that matched the mossy green ink I used and cut a piece to fit my cardstock based. After layering up everything on the tag I adhered it to my card base and then added a little bit of rust colored ribbon. 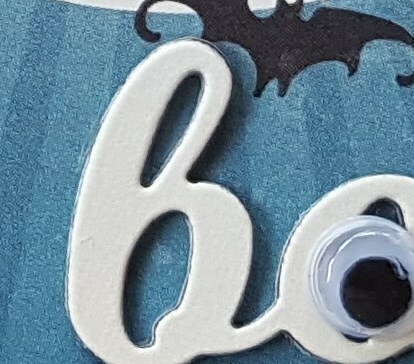 It's a fun little card with a Halloween theme. I hope you will pop over for a look. Have a wonderful day! Happy fall everyone!! We are having some beautiful weather (although I do wish we had a little rain) right now. Today was the last day of the Washington State fair so the boys and I went this morning. On the way home we picked up some pumpkins for our front porch. With all that behind me I was finally able to take a photo of a card I made other day for the current Color Throwdown challenge, as well as the current When Creativity Meets C9 challenge to just use ink. 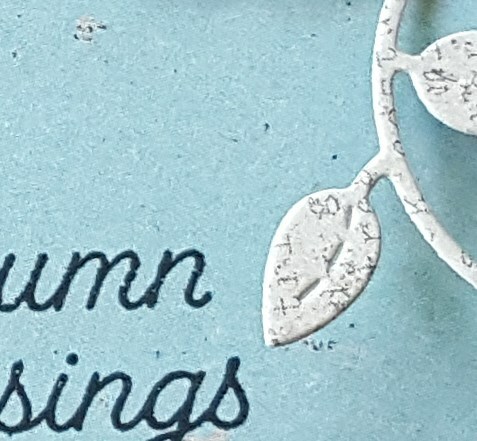 For this card I pulled out the C9 Lace Leaf stamp set. I inked up the main leaf image with a dark green ink from Hero Arts. The watercolor image that comes in the set was then inked up with a Hero Art purple, MFT's Daffodil and Orange Fizz. In order to keep the inks from mixing too much and ending up with a muddy look I inked up the bottom portion of the image with the purple, stamped and then cleaned off the stamp. The process was repeated with the other inks. I really like how the leaf turned out. The sentiment was stamped in black and then I added some little splatters here and there using an image from the C9 Brushed Blossom stamp set. Finished off the card with a little bit of twine tied in a knot and adhered with multi matte medium. I adhered some black cardstock on the card base as you see and then adhered the stamped panel with the opposite side flush to the top and side of the card base using foam dimensionals. Since I did that I will also add this to the current Simon Says Stamp Wednesday challenge of pop it up. Hello!!! Wow... the week is almost over!! 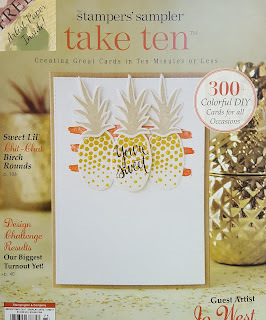 I'm popping in with a card for several challenges: MFT design superstar, MFT sketch challenge, SSS Wednesday challenge and Stamp, Ink, Paper challenge (watercoloring). 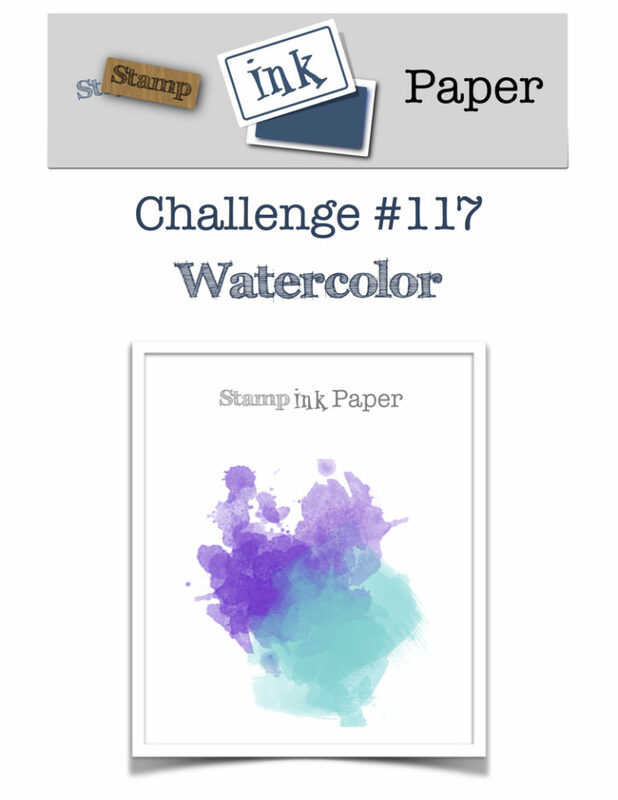 I am by no stretch of the imagination a coloring virtuoso, but I wanted to challenge myself to do some watercoloring and the MFT design superstar challenge was just the push I needed. I got out my MFT Sweet Forest Friends stamps and dies and did some watercoloring. I had to color the little fox twice because the first one didn't turn out so well, but I'm really pleased with my coloring since I hadn't really done any in quite some time. After coloring up all my little critters with various ZIG markers I watercolored a panel of watercolor paper with a light blue ZIG and then part of watercolor panel with two green ZIGs. When dry both panels were die cut with the MFT Inside Out Stitched Round Rectangle dies. I popped up the green portion on the blue background and then adhered the tree and the critters using more pop dots. The sentiment was stamped on a scrap piece of watercolor paper that had been light colored with the same blue ZIG and then die cut with another MFT die. I added a little bit of white baker's twine to finish things off. 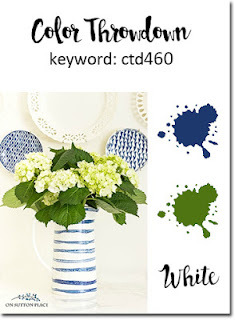 Have a wonderful day and I hope you will hop over to the AJVD blog for a look. Hello!! Hope you week is off to a good start. 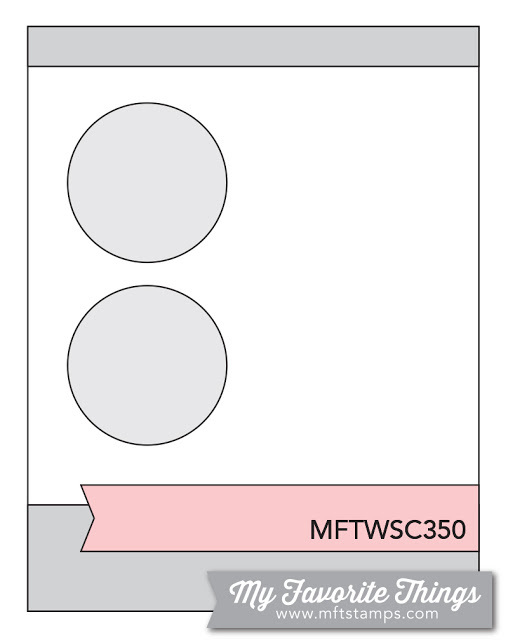 I have a card that I made for the current MFT sketch challenge. 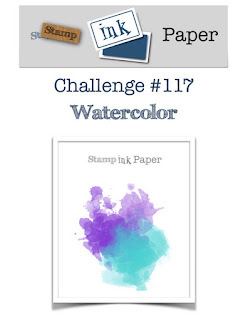 Since it is pretty clean and simple I'm also going to add this to the Simon Says Stamp Wednesday challenge. I recently bought the fun MFT stamp and die set Ocean Fun and have been wanting to make a card with it. When I started the card I was just going to have simple windows, but decided to change the windows to shaker elements. I inked up my background with Salty Ocean and Peacock Feathers distress oxide inks. I trimmed down my white cardstock panel and then die cut the windows using a MFT Inside Out Stitched Round rectangle die. Using removable tape I positioned the panel so that I could stamp the little background images inside the windows. I adhered the acetate to the panel and created my little shakers. The jellies were stamped using Salty Ocean and Peacock Feathers and then die cut them with the matching dies. 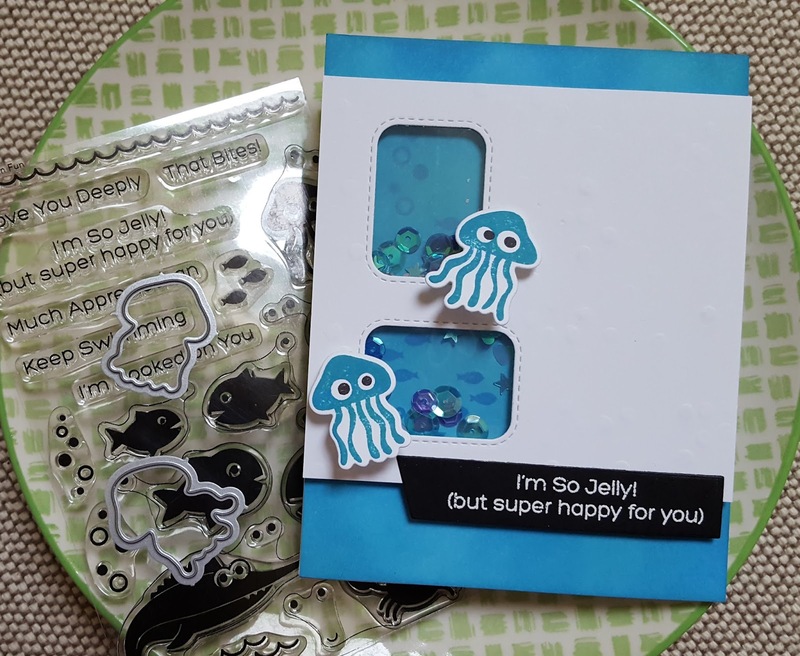 I used small pieces of the acetate to create little tabs to attached the jellies to the card. This gives them a little bit of movement, but not as much as I had thought they would. I think my acetate is too thick and thus too stiff. Oh well... they still look cute. 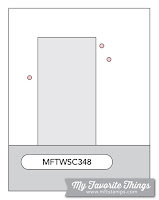 I think I will also add this to the MFT design superstar challenge in the innovation category. It isn't super innovative, but there will still be a chance to win $100 gc in the random draw. 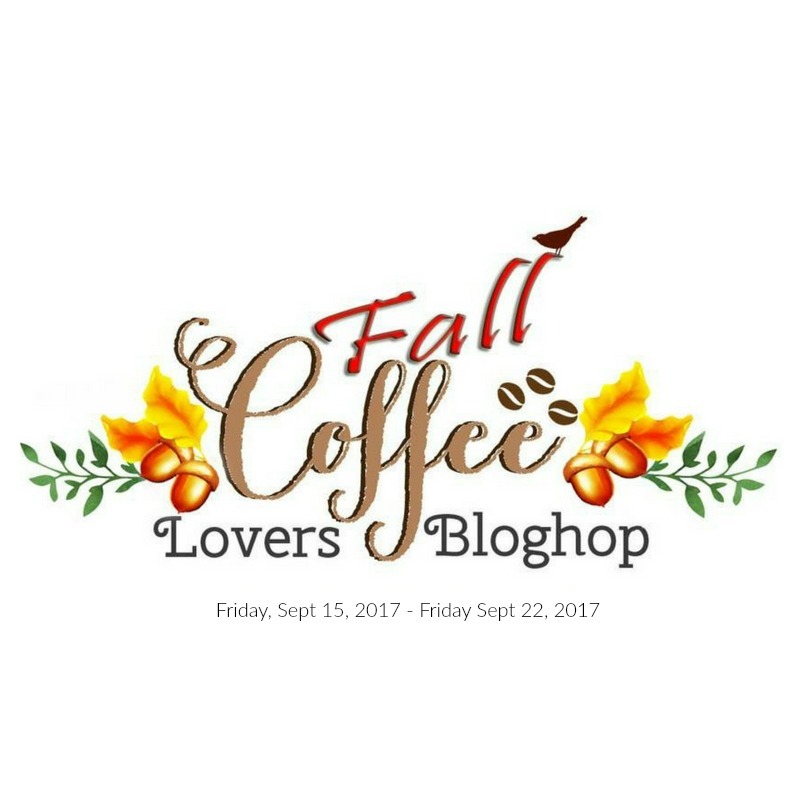 Hey there... happy Friday and happy Fall Coffee Lovers blog hop!! 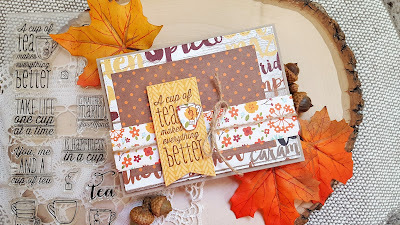 I have a card to share for the hop and since I'm not a coffee drinker my card has a tea theme. 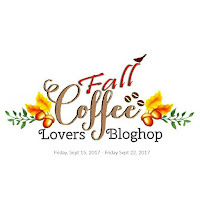 My new tea love is a Starbucks London Fog Tea Latte followed closely by the new Pumpkin Spice Chai latte... yummy!! Anywhoo... my card is also for the current Viva La Verve sketch challenge. 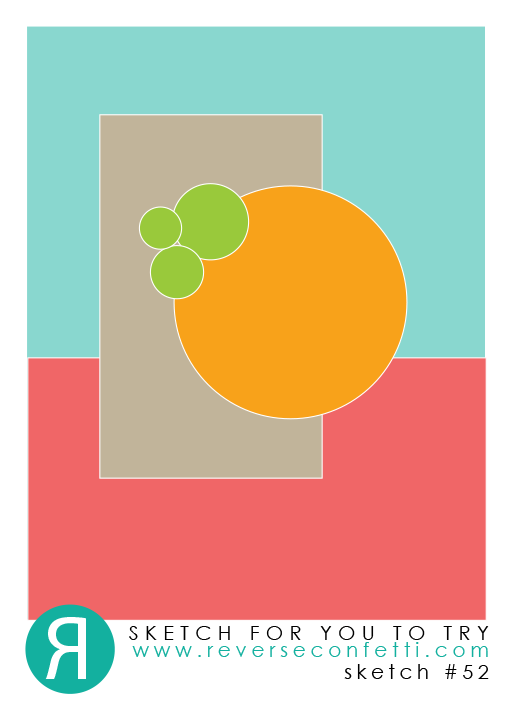 I recently got some sweet new Verve and I'm using one of the items on my card today. I rummaged around in my patterned papers and found this group of fall themed papers and got to work. The sentiment is from the Verve set One Cup. 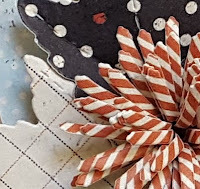 I stamped it in VersaFine Vintage Sepia on the paper and then die cut it with my new Verve Stitched Banner Duo die set. I stamped it a second time on some scrap paper and trimmed out the little cup. That was adhered on top with foam dots. I layered up all the elements and then added some twine tied in a bow before I adhered the sentiment banner. Thanks for checking out my card today and enjoy the hop!! Hey!! Hope your week is going well! 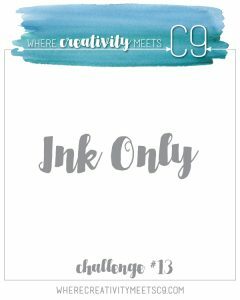 Popping in with a card for a few challenges: Where Creativity Meets C9 (just ink), Color Throwdown (color combo) and Simon Says Stamp (clean and simple). When C9 came out with the Pineapple Perfection stamp set I absolutely had to have it. I'm mean... seriously... how cool is that pineapple???!! So when I got it last week I was just itching to make something with it. 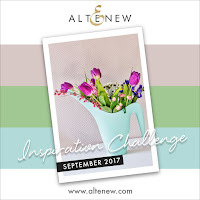 Enter the new WCMC9 challenge and the Color Throwdown combo and I had my opportunity! Can I just say that I absolutely love how my pineapple turned out??? I stamped the full pineapple in black ink and then added the crown and leaves with a nice dark green ink (SU! 's Gumball Green). I then stamped the three flowers in dark blue (SU! 's Night of Navy). The berries and all the other flowers were done using second generation stamping with the green (berries) and blue (the rest of flowers) inks. I couldn't cover up that gorgeous pineapple by using the banner die that comes in the matching die set so I stamped the sentiment from the C9 set Brushed Blossom in black slightly over the pineapple. Once the stamping was done I trimmed down the panel and added a strip of dark blue cardstock. To finish things off I added some clear sparkling sequins and white baker's twine tied in a bow at the top. The panel was then adhered to a dark green cardstock base. 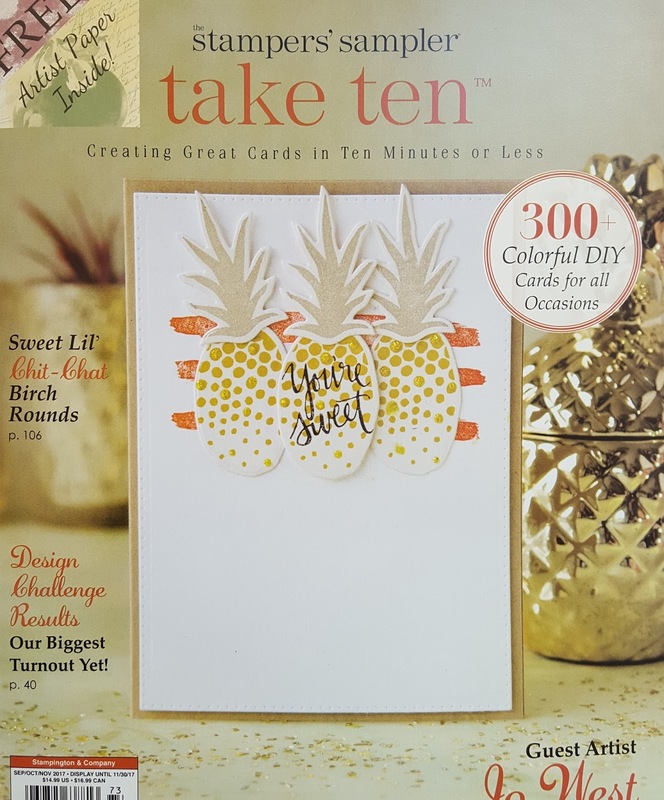 Since I'm talking about pineapples right now I thought I would mention that another card I made using the C9 Pop Art Pineapples stamp set is on the cover of the current Stampers Sampler Take Ten! I was so excited when I opened up my complimentary copy and saw my card on the cover. You can see the cover over on my side bar or below. Have a wonderful day... hope you will hop over for a look at my card! Hello!! 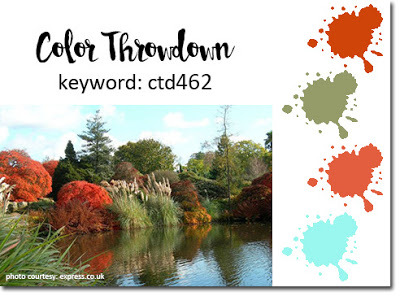 Stopping in with a card for a few challenges: Color Throwdown, MFT sketch challenge and the MFT card design superstar challenge in the clean and simple category. 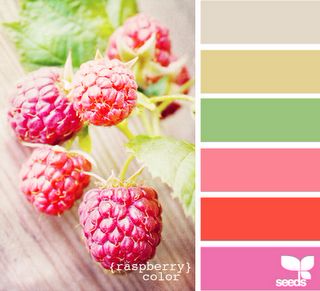 The current color combo for Color Throwdown is pretty dramatic so I decided to keep things simple. 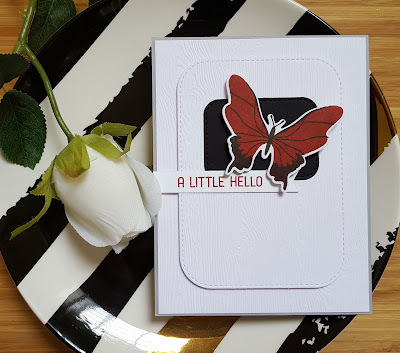 I stamped the solid butterfly from MFT's Beautiful Butterflies in my favorite dark red ink SU! 's Cherry Cobbler and then stamped the overlay portion with VersaFine Onyx Black making sure to stamp it more than once to get a nice dark impressing. I die cut white and black cardstock with the Inside Out Stitched Round Rectangle to see which I liked the butterfly against best and went with black. 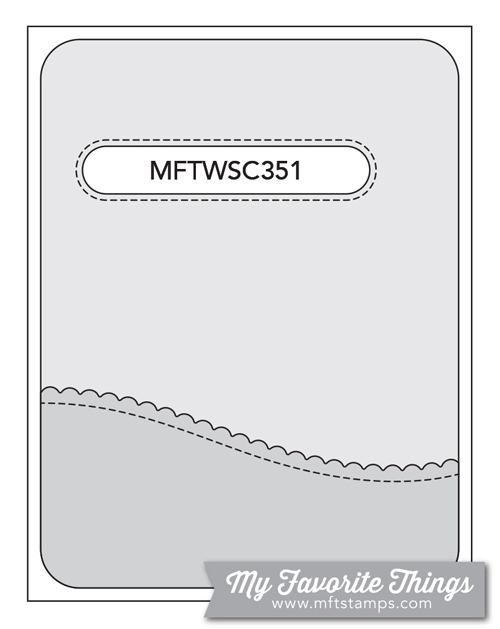 The largest Inside Out Stitched Rounded Rectangle was die cut from white woodgrain cardstock. I originally had plain white cardstock as the bottom layer, but thought it was too plain so went with more woodgrain cardstock. The sentiment is from Springtime Blooms and was stamped with the Cherry Cobbler and then die cut with a Fishtail Flag Stax. Layered everything onto a light gray cardstock base. Adding this to the current Simon Says Stamp Wednesday challenge of stamp it. Have a wonderful day... hope you will hop over for a look! Hello!! Crafting has been a struggle for me lately. Hubby is replacing our family room floor and since my crafting space is in the kitchen and the kitchen is connected to the family room well... trying to find a little peace and quiet to do anything is pretty scarce! 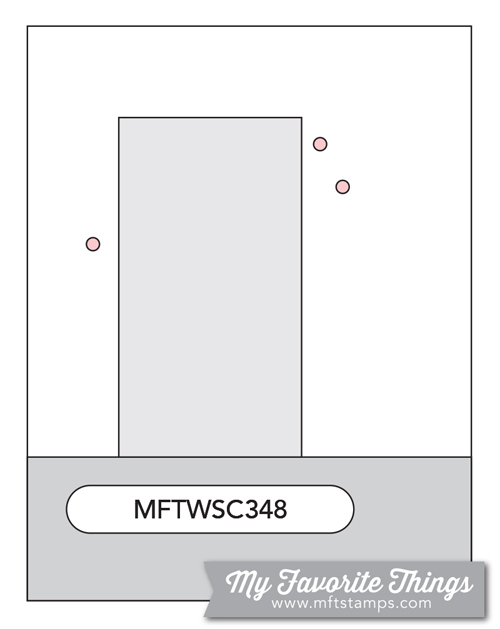 But last night I found some time to put together this clean and simple take on the current MFT sketch. 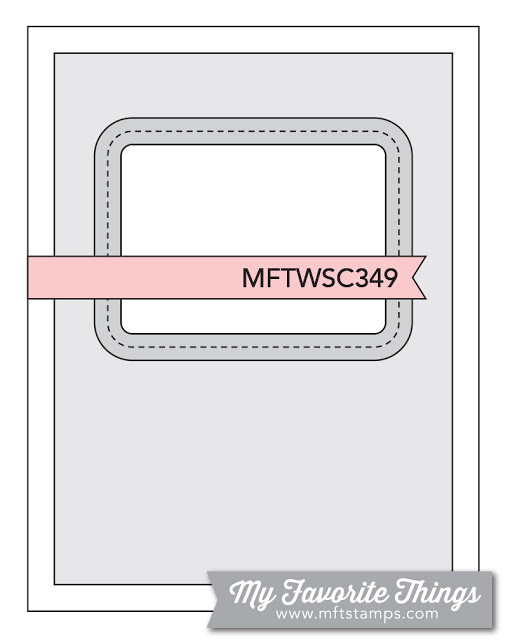 I also used the current MFT color challenge for the card. Killing two challenges with one card, lol!! Well... since I'm adding this to the current Simon Says Stamp Monday challenge (stamp it) and the Simon Says Stamp Wednesday challenge (anything goes). I die cut the smile from a piece of white cardstock that I die cut with an MFT Fishtail Flag Stax die and then die cut the smile from a blue cardstock similar to MFT's Cornflower. 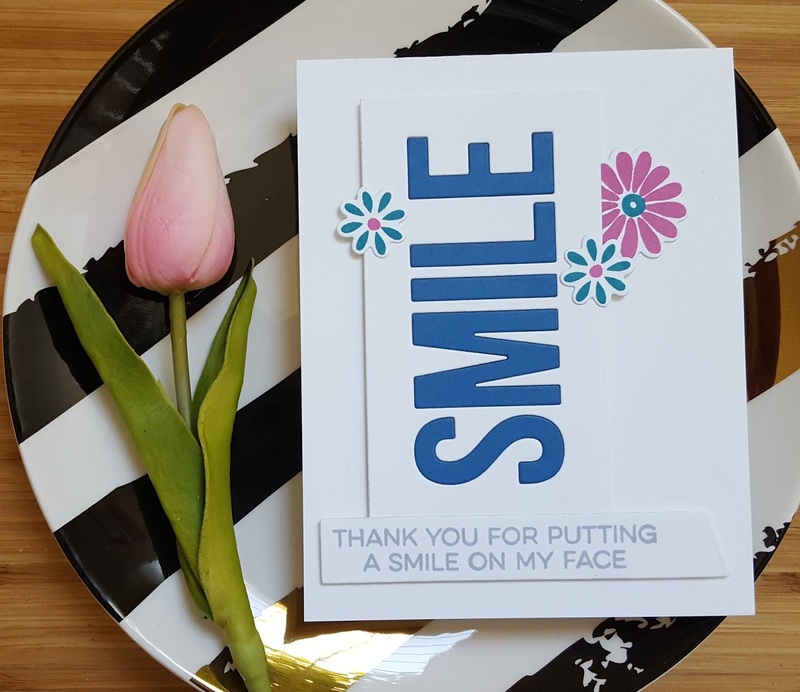 The sentiment (from All Smiles) was stamped in Hero Arts Soft Granite (which is similar to Blue Steel) and then die cut with one of the banner dies that was the free with $60 die from MFT. 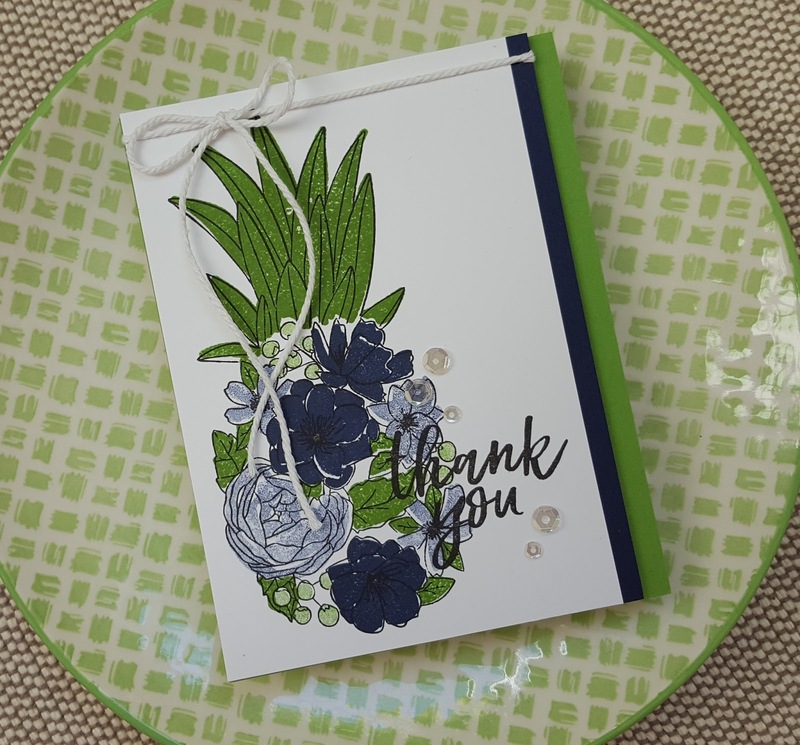 I stamped the flowers from the Plentiful Petals set in Ripe Raspberry and Tropical Teal and then die cut them with the matching dies. Layered everything up per the sketch and I was done. Pretty pleased with how my card turned out. Hey!! 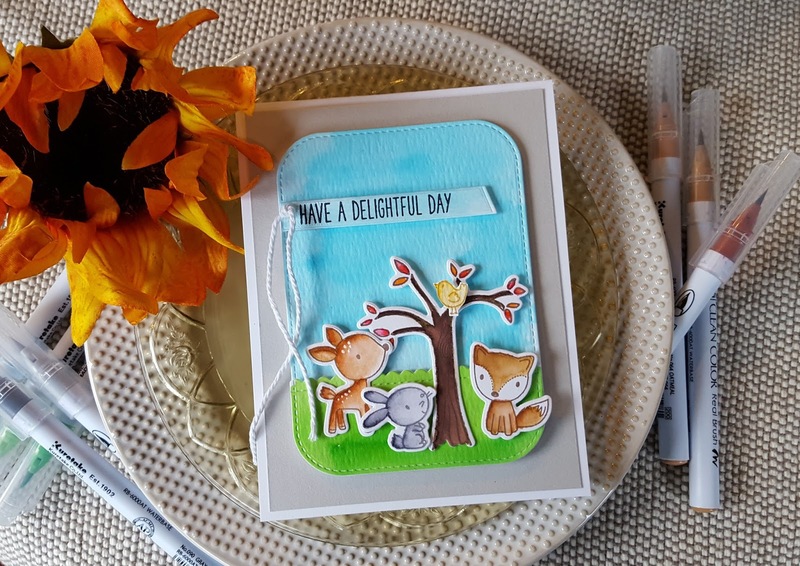 Popping in with a card for the current Essentials by Ellen Pin-Sights challenge, as well as the current Freshly Made Sketches challenge and Simon Says Stamp Wednesday challenge of anything goes. With summer coming to an end I have been in a bit of a creative funk... not sure why, but it happens. I fiddled around with what to make for the Pin-Sights challenge and decided that I didn't want to do flowers... I always do flowers! So I looked through my small assortment of EE stamps and dies and decided to use the You Rock die set. I did through in a little flower that I created with the Bold Blossoms and Bold Blooms Matching dies. No stamping on this card whatsoever! I was inspired by the colors and to my eye I saw gold and silver thus the gold sparkle backing for my flower and the silver diamond. Hope I'm not wrong! Anywhoo... pretty simple... make lots of die cuts, stack and adhered to strip of woodgrain cardstock that had a thin border of red cardstock adhered to it. 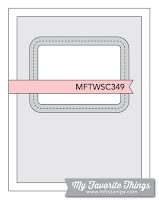 I was going to put it on a white cardstock base, but went with light gray. Overall I think this looks pretty darn boring... just being real, lol!